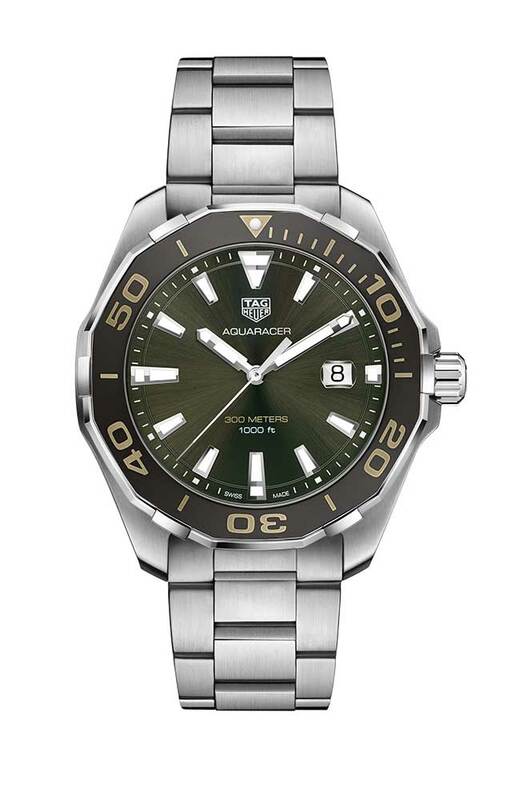 This fall, Macy’s will roll out a special capsule collection of limited-edition men’s watch styles from 11 framed brands, many covered regularly here on JCKonline, including TAG Heuer, Movado, and Raymond Weil. Starting tomorrow, a participating brand will drop a watch (or watches) every Wednesday through Oct. 24. Two additional drops will take place Nov. 14 and 21. The designs take inspiration from the watchmakers’ archives, created or re-issued in limited quantity exclusively for Macy’s. Many point to a defining technical innovation or aesthetic distinction in the watch brand’s history. Macy’s Watch Drop capsule kicks off with this reissued 1950s model, originally launched to celebrate Tissot’s centenary. 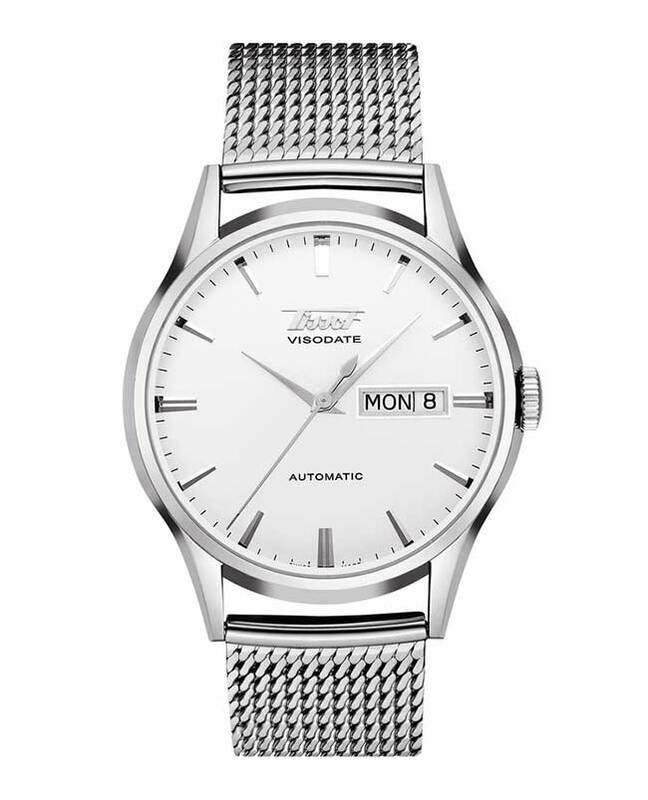 At the time, the introduction of Visodate—a date function integrated into the watch’s automatic mechanism—was considered a radical innovation. 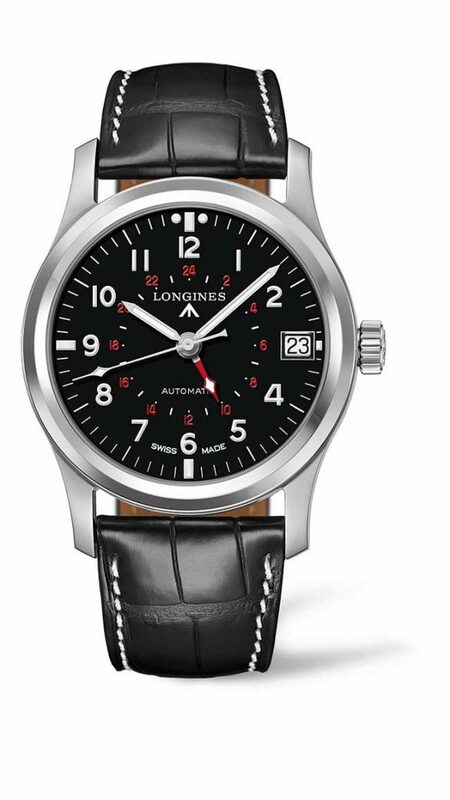 Based on the design of a model produced for the British army during the 1950s, the Longines Aviation features a black dial, Super-LumiNova®-coated numerals, and a movement fitted with a special device to protect it against the effects of magnetic fields. Product development kicked off a year ago and began with the Macy’s watch team approaching key brands for their support and participation. 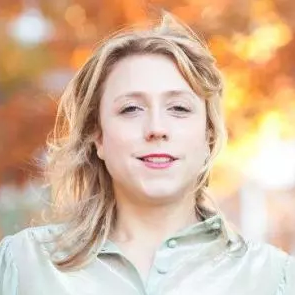 From there, bringing the capsule to life was a task that touched multiple internal departments including merchandising, marketing, digital, and fashion. Here’s a look at the other watches coming up throughout the month of September. A timeless diver that can be worn every day, this TAG watch features a sunray khaki dial and sandblasted steel case and became an instant classic in the early 2000s with its unidirectional turning bezel, screw-down crown, and Super-LumiNova®-treated hands and markers. 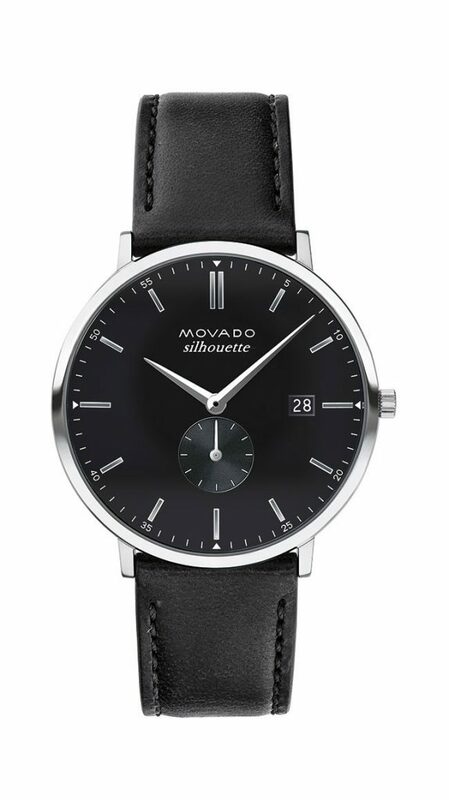 Two versions of this iconic Movado design will drop at Macy’s on the 19th. It features a 40 mm case on top-stitched leather straps and Swiss movements. 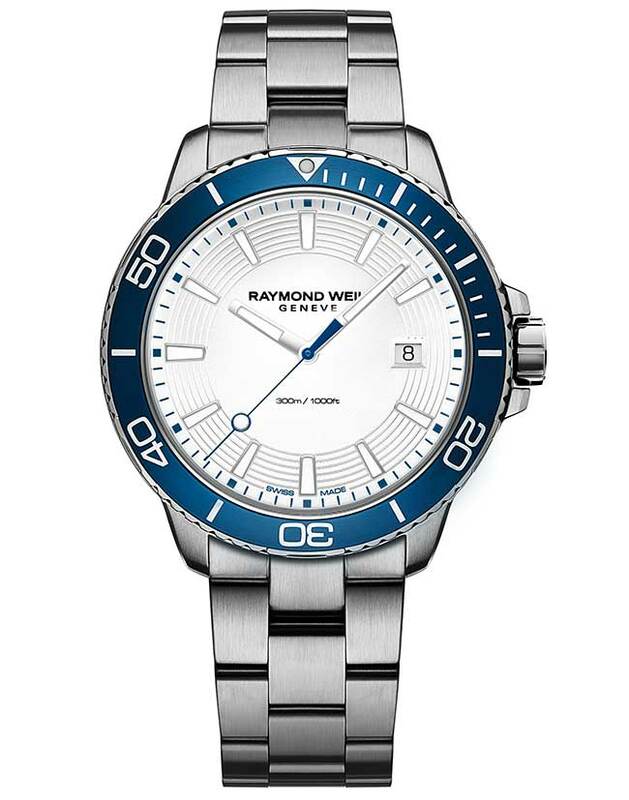 A classic update on the brand’s sporty-meets-functional Tango 300 diver in stainless steel. Other specs: water resistant up to 300M, indexes and hands in lieu of numerals, and a blue, unidirectional rotating bezel. 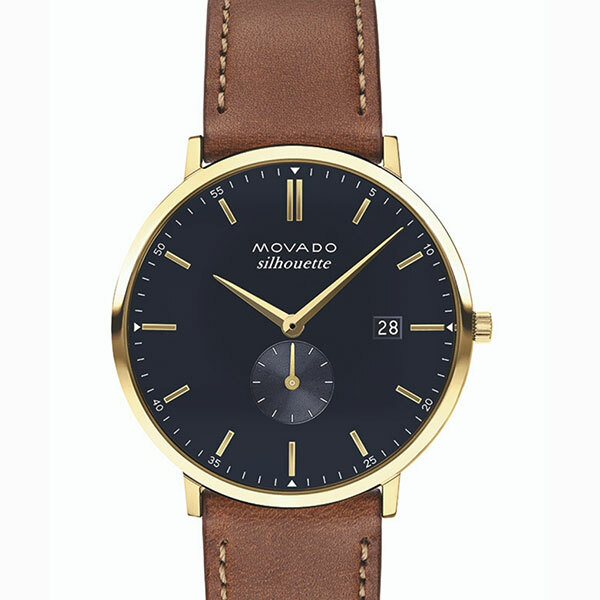 Top: This limited-edition Movado Silhouette watch arrives at Macy’s on Sept. 19.